Officials in Amsterdam are looking to combat rowdy tourists by proposing a ban on bachelor parties. 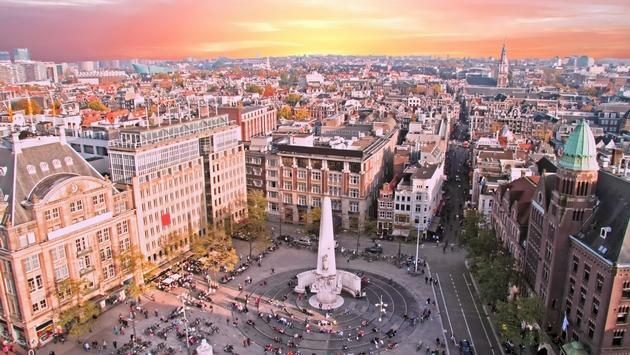 Locals say the raucous crowds are impacting their way of life, as less than one million people call Amsterdam home, while the city is expected to welcome over 20 million tourists by the end of the year. Government officials started working on controlling tourists earlier this year, with lawmakers restricting beer bikes, diverting cruise ships and banning Airbnb hosts from providing rentals in certain areas of Amsterdam. Tourism officials have also implemented a tax on travelers that will generate $105 million a year by 2022 for the local government, and the city has launched a campaign dubbed “Enjoy and Respect” meant to help curb the problematic behavior. In addition, Amsterdam is imposing fines for rowdy tourists, including $109 for public intoxication and $162 for urinating in a canal.